Viruses in the parainfluenza family are common causes of respiratory illness in infants and young children. They cause a spectrum of upper and lower respiratory tract illnesses, but are particularly associated with laryngotracheitis, bronchitis, and croup. There are four viruses in the parainfluenza family that cause illness in humans, designated types 1–4. The viruses have a nonsegmented, single-stranded RNA genome with a lipid-containing envelope derived from budding through the cell membrane. The major antigenic moieties are envelope spike proteins that exhibit hemagglutinating (HN protein) and cell fusion (F protein) properties. Parainfluenza viruses are spread from the respiratory tract by aerosolized secretions or direct hand contact with secretions. By age 3 yr, most children have experienced infection with types 1, 2, and 3. Type 3 is endemic and can cause disease in the infant younger than 6 mo. Serious illness is seen with parainfluenza type 3 in the immunocompromised child. Types 1 and 2 are more seasonal. They occur in the summer and fall and alternate years in which their serotype is most prevalent. Parainfluenza type 4 is more difficult to grow in tissue culture; thus, its epidemiology is less well defined. However, it does not appear to be a major cause of illness. Parainfluenza viruses replicate in the respiratory epithelium without evidence of systemic spread. The propensity to cause illness in the upper large airways is presumably related to enhanced replication in the larynx, trachea, and bronchi compared with other viruses. The destruction of cells in the upper airways can lead to secondary bacterial invasion and resultant bacterial tracheitis. Eustachian tube obstruction can lead to secondary bacterial invasion of the middle ear space and acute otitis media. Illness caused by parainfluenza occurs shortly after inoculation with the virus. The mechanisms by which viral injury occurs are not known. Some parainfluenza viruses induce cell to cell fusion. During the budding process, cell membrane integrity is lost, and viruses can induce cell death through the process of apoptosis. The severity of illness correlates with the amount of viral shedding. Immune destruction of virally infected cells may also occur but appears to be less important with mucosal than systemic infection. The level of immunoglobulin A antibody is the best predictor of susceptibility to infection. Reinfection is seen particularly with parainfluenza type 3 as mucosal immunity wanes. The inability of children with serious T-cell defects to clear parainfluenza type 3 suggests a cell-mediated component of immunity. Most parainfluenza virus infections are confined to the upper respiratory tract. Selected signs, symptoms, and clinical diagnoses, based on a culture from young children with respiratory illness, are shown in Table 217–1 Table 217–1. The relative frequency of parainfluenza type 3 compared with types 1 and 2 is consistent with other epidemiologic studies. This relatively mild-appearing illness is belied by a spectrum of rarer but more serious illnesses that result in hospitalization. The parainfluenza viruses account for 50% of hospitalizations for croup and 15% of cases of bronchiolitis and pneumonia. Parainfluenza type 1 causes more cases of croup, whereas parainfluenza type 3 causes a broad spectrum of lower respiratory tract diseases. Clinical descriptions of croup, bronchitis, bronchiolitis, and pneumonia are presented in Chapters 170, 327, and 332. Parainfluenza virus infections are not associated with high fever. Aside from low-grade fever, systemic complaints are rare. 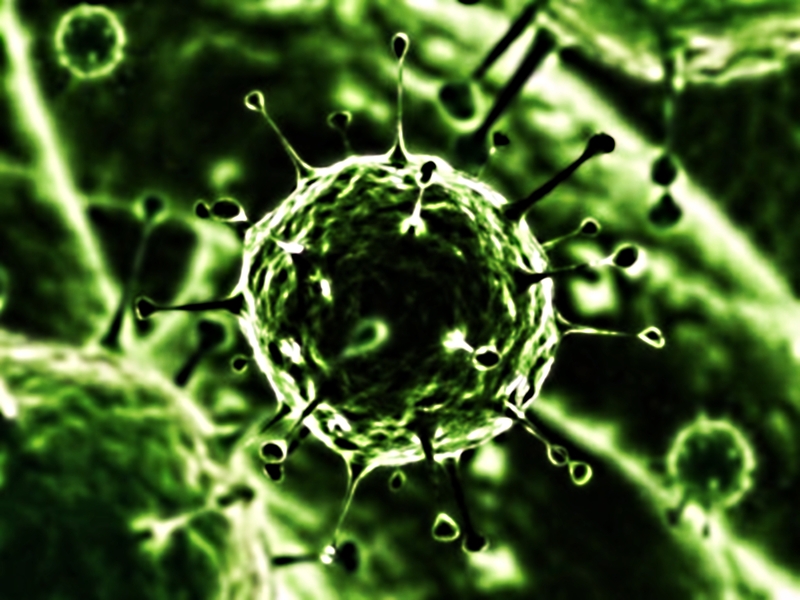 The illness usually lasts 4–5 days; however, virus may be recovered in low titers for 2–3 wk. Rarely, parainfluenza viruses have been implicated in parotitis. There are no distinctive hematologic or chemistry findings. The laboratory diagnosis of parainfluenza virus infection can be accomplished by inoculation of nasal secretions into tissue culture, with presumptive diagnosis based on finding a hemadsorbing agent and final serotypic diagnosis based on hemadsorption inhibition. Direct immunofluorescent staining has been used in some centers to identify infected cells in secretions rapidly. The diagnosis of parainfluenza virus infection is based on clinical and epidemiologic criteria in most pediatric settings. The virus should be specifically sought in persistent pneumonias in immunosuppressed children. The radiographic "steeple" sign of progressive narrowing of the subglottic region is characteristic of parainfluenza virus infections. In more febrile children and those with more severe respiratory compromise, the possibility of a bacterial tracheitis with purulent material below the epiglottis and vocal cords should be considered. The high frequency of otitis complicating parainfluenza virus means that careful pneumatic otoscopy should be performed in all children with suspected parainfluenza virus infection. Work is progressing with both live and subunit parainfluenza type 3 vaccines. The live vaccines include a cold-adapted virus of human origin and a bovine parainfluenza virus, which is attenuated because of host range adaptation. The measure of protection afforded by vaccines will be difficult to assess because symptomatic reinfection is seen and the frequency of serous infection in the general population is low. Nonetheless, it is clear that prevention of acute respiratory illness that results from parainfluenza virus is a worthwhile goal. The possibility of rapid respiratory compromise during severe croup should influence the level of care given. Careful attention to symptomatic care is important as is a description for parents of the parameters of increasing respiratory distress that should lead to reassessment by a health care provider. Humidification and exposure to cold air are both classically associated with a decrease in mucosal edema and liquification of secretions that may relieve obstruction; however, their value has never been proved in a controlled trial. Aerosolized racemic epinephrine may temporarily improve aeration, but one must be convinced that the improvement will be sustained before discharging the child. Recent studies have suggested that aerosolized or systemic steroids were helpful in the management of croup in the emergency room setting and after hospitalization. The indications for antibiotics are limited to well-documented secondary bacterial infections of the middle ears or lower respiratory tract. Ribavirin has some antiviral activity against parainfluenza virus and should be considered in the immunocompromised child with persistent pneumonia. The prognosis for full recovery is excellent in the normal child. No long-term pulmonary residua of parainfluenza virus infection have been described.